Scodix E106 press launch to deliver new enhancement and profit-generating opportunities for the folding carton market. 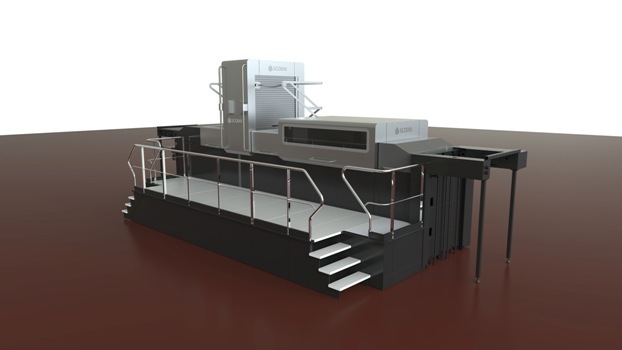 Scodix, a leading provider of high-quality enhancement capabilities for the graphic communications sector has announced the launch of its Scodix E106 digital enhancement press for the folding carton market. The press will make its debut at drupa 2016, and, like the other solutions the company offers, is designed to make printed products stand out from the rest and leave a lasting impression. It comes in a B1 (1060x760mm) format and Scodix says it will enable ultra-fast production (up to 4,000 sheets per hour) making medium to short run lengths viable that were previously unachievable. 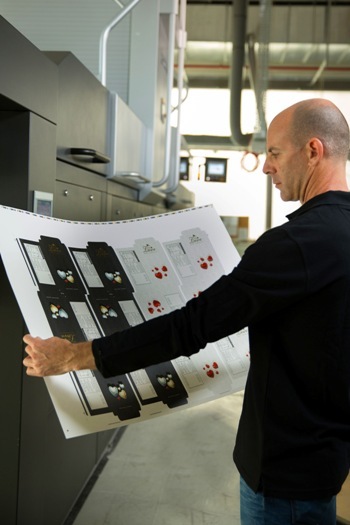 It boasts a unique combination of features, exclusive to Scodix technology, to provide real benefits for folding carton printers and converters to differentiate their offering and boost profit margins. "Print embellishments provide an opportunity for converters to add value to products, when there's often little scope to do this elsewhere in the converting process. As average run lengths decrease, Scodix digital enhancement presses - with no tooling costs and next to no set-up - become an undeniably attractive option to replace analogue equipment. Converters investing in the Scodix E106 will be able to offer shorter run lengths profitably, new products, enter new markets and fundamentally, clinch a competitive edge in tough market conditions with value-added services that truly empower brands." Scodix E106 enhancement press print sampleDelivering multiple print enhancements in one versatile technology platform, the Scodix E106 press delivers premium quality effects including Scodix SenseTM, Scodix SpotTM, Scodix BrailleTM, Scodix Digital Embossing, Scodix Variable Data finishes and Scodix FoilTM, all in a single press. The Scodix E106 foil system was developed for Scodix by Compact Foilers Ltd, as a continuation of their ongoing cooperation. Scodix also teamed up with a world-leading expert in paper handling solutions, MABEG Systems GmbH, to design and produce the Scodix E106 paper handling system. Consequently, the digital enhancement press is capable of handling a wide range of substrates from paperboard to plastic and metalized boards, as well as offset and digital prints and even WB coated and a wide range of laminated products. "The new Scodix E106 extends the capabilities of our Scodix Ultra Series and Scodix S Series, using proven technology to deliver digital enhancement capabilities in a B1 format - typically used by the folding carton market and therefore integrating seamlessly into existing production lines. Now brand owners can create stunning new products using foil over foil, adding Scodix Sense effects over foil, or personalising with Scodix Variable Data Sense or Scodix Variable Data Foil - effects that were previously unachievable in this market. The Scodix E106 delivers the perfect mix of size, speed, and striking quality, while saving cost," concluded Porat. See the Scodix E106 demonstrated live at drupa, Düsseldorf, Germany, from May 31 to June 10 2016, Stand D-60, Hall 4 #drupahall4.